Max Pam’s photographs and writings are documents of his extensive travels through Asia, Europe and Australia. India, in particular, has been of continuing fascination for Pam, who first went there in 1969. Keen to discover the world beyond his suburban Melbourne upbringing, Pam travelled the ‘hippy trail’ between Calcutta and London, photographing along the way. In London, he studied at the Harrow College of Art and Technology and returned to Australia, via India, two years later. A Visual Arts Board travel grant enabled him to go to Japan, where he was influenced by the style and methods of Tadayuki Kawahito, whose ‘Portraits: the people of Varanasi’ was published in 1975. Consequently, Pam traded his 35mm SLR for a medium format camera, held at the waist rather than at eye level. This enabled him to make eye contact with his subjects and to create a greater sense of empathy in his portraits. 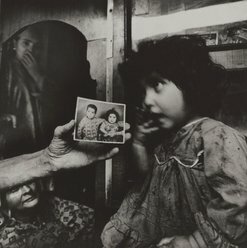 This sense of the collaboration between subject and photographer is clearly evident in ‘Kashmir’, one of 12 images from the portfolio ‘Hindustan autobiographies.’ Like the other images in the portfolio, ‘Kashmir’ is accompanied by a pithy description of how the image was made. It was itself inspired by the photograph at the centre of the image, and by the little girl who appears in both. The ‘picture within a picture’ allows Pam to play with the conventions of representation, and to suggest the living vitality of the child compared to the stiff visage of her portrait. The desire to suggest the diversity of India through its people lies at the heart of Pam’s style. 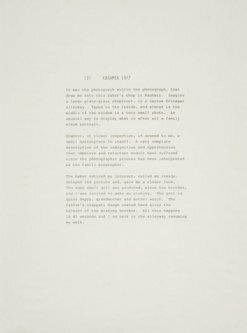 As he has said: ‘I interpret India through them – a hand gesture, the shadow of a smile, averted eyes…glistening coconut oiled hair.’1 Pam continues to travel and photograph, and in 1992 published ‘Going east’, which was awarded the prestigious French Grand Prix du Livre Photographique. 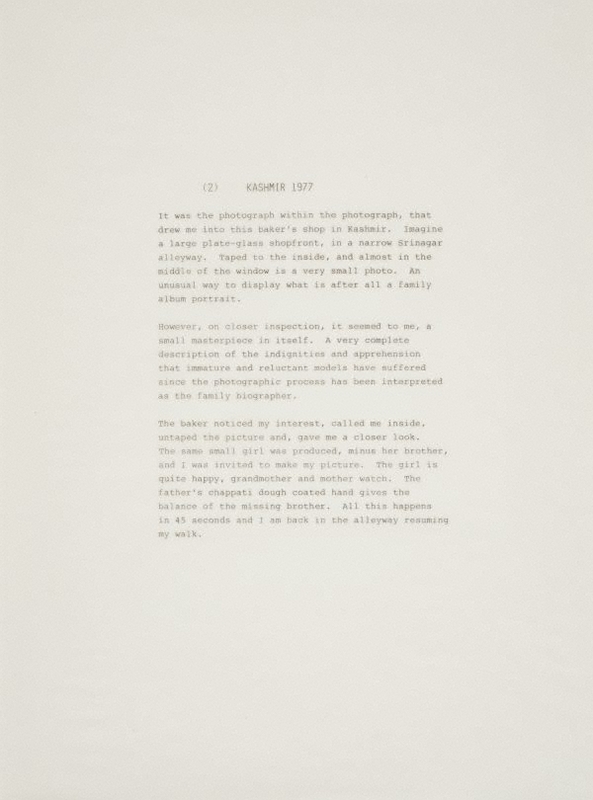 Bronwyn Clark-Coolee, Photography: Art Gallery of New South Wales Collection , 'Not 'simply' anything', pg.266-287, Sydney, 2007, 276 (illus. ).